After a tragic accident on Martha's Vineyard, keeping secrets becomes a way of life for the Tangle family. With memories locked away, the sisters take divergent paths. Callie disappears, Mimi keeps so busy she has no time to think, and Ginger develops a lifelong aversion to risk that threatens the relationships she holds most dear. When a whispered comment overheard by her rebellious teenage daughter forces Ginger to reveal a long-held family secret, the Tangles' carefully constructed web of lies begins to unravel. Upon the death of Glory, the family's colorful matriarch, and the return of long-estranged Callie, Ginger resolves to return to Martha's Vineyard and piece together what really happened on that calamitous day when a shadow fell over four sun-kissed siblings playing at the shore. Along with Ginger's newfound understanding come the keys to reconciliation: with her mother, with her sisters, and with her daughter. 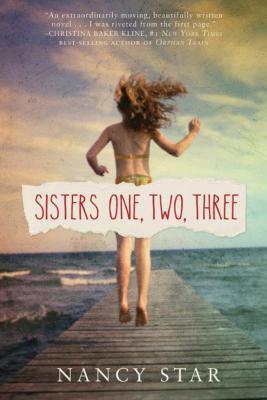 At turns heartbreaking, humorous, and hopeful, Sisters One, Two, Three explores not only the consequences of secrets--even secrets kept out of love--but also the courage it takes to speak the truth, to forgive, and to let go.